The DSLR Recoil is the perfect rig for starting to build your Recoil rig. 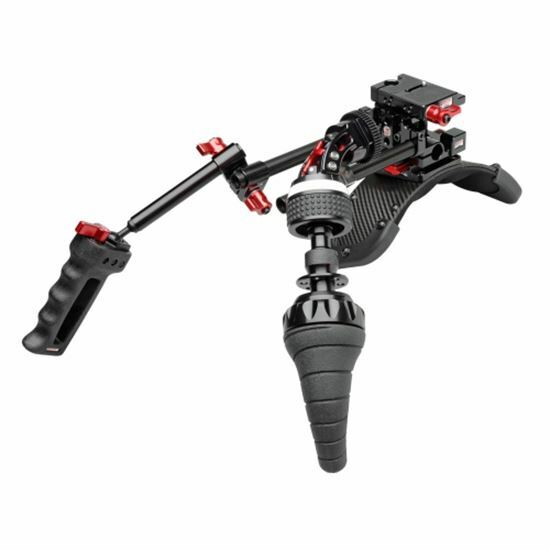 It includes Zacuto Mini DSLR Baseplate with 6.5” rods, a QR Shoulder Pad, and the Recoil Handgrip Kit – a unique mechanical handgrip follow focus set up. This Recoil kit is designed to be used with an offset monitor or viewfinder like the Zacuto EVF. (Not included.) 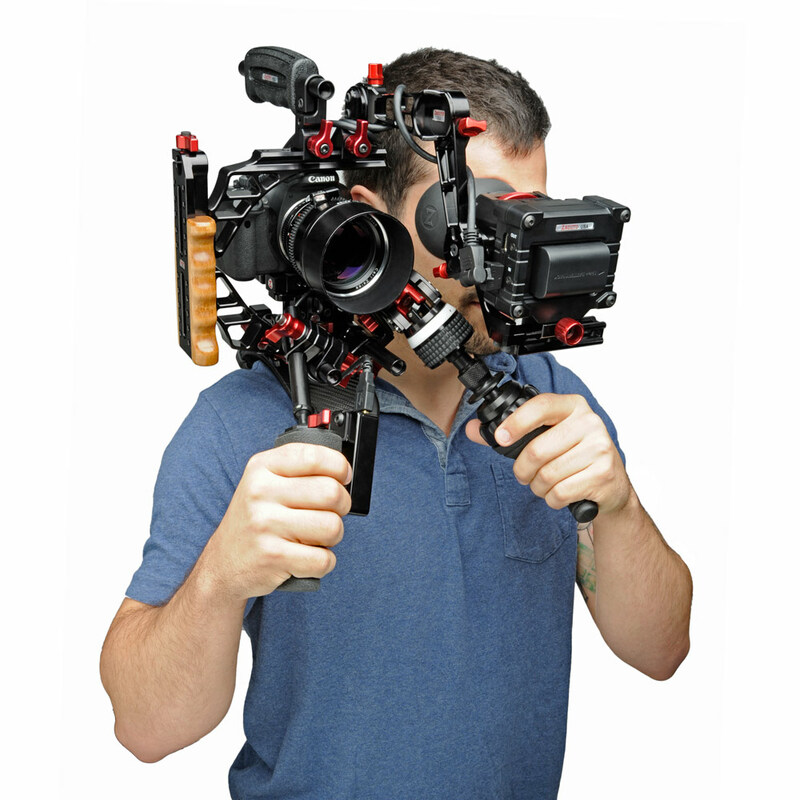 Want to attach Zacuto Zacuto Z-Finder EVF Pro? Add an Axis EVF Mount. The Mini DSLR Baseplate* attaches to your camera with a single ¼ 20 screw and has one (1) ¼ 20 and one (1) 3/8 16 screw underneath for tripod attachment. The Mini DSLR Baseplate has two lightweight spaced threaded rod ports at the back of the unit, a 15mm female rod port (tightened with an Allen) can be found at the left side, and a 15mm rod port, which tightens with a red quick release ratcheting lever, can also be found on the underside of the unit. It has a built in quick release for just your camera that is released with a red quick release ratcheting lever. This kit comes with 6.5” rods to attach to the front of the baseplate. 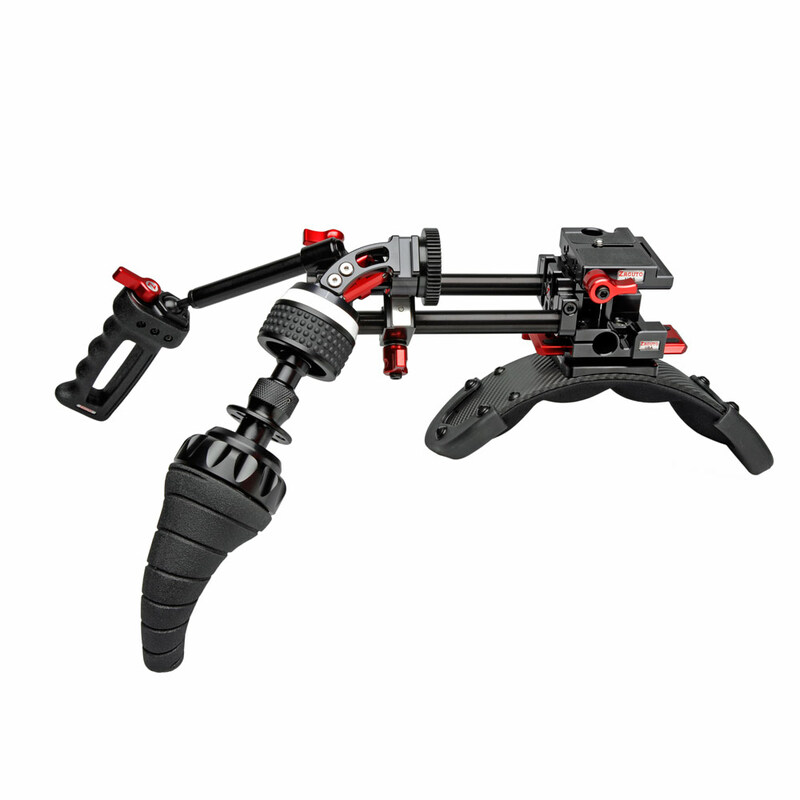 Instead of traditional handgrips, this rig includes Zacuto Recoil Handgrip Kit. 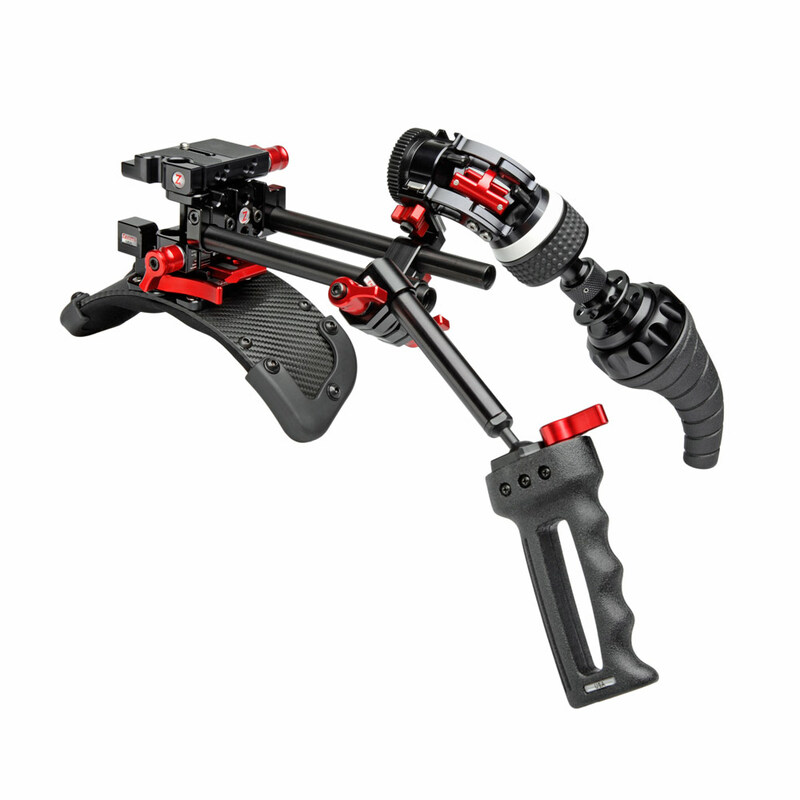 The Recoil Handgrip Kit is comprised of a Zgrip Z-Mount Zwivel handgrip, a Z-Drive follow focus and the Zacuto Tornado grip. The Zgrip Z-Mount Zwivel is a complete single handgrip set up that slides and clamps onto a single 15mm rod. The rod attached to the handle is 4.5” long. 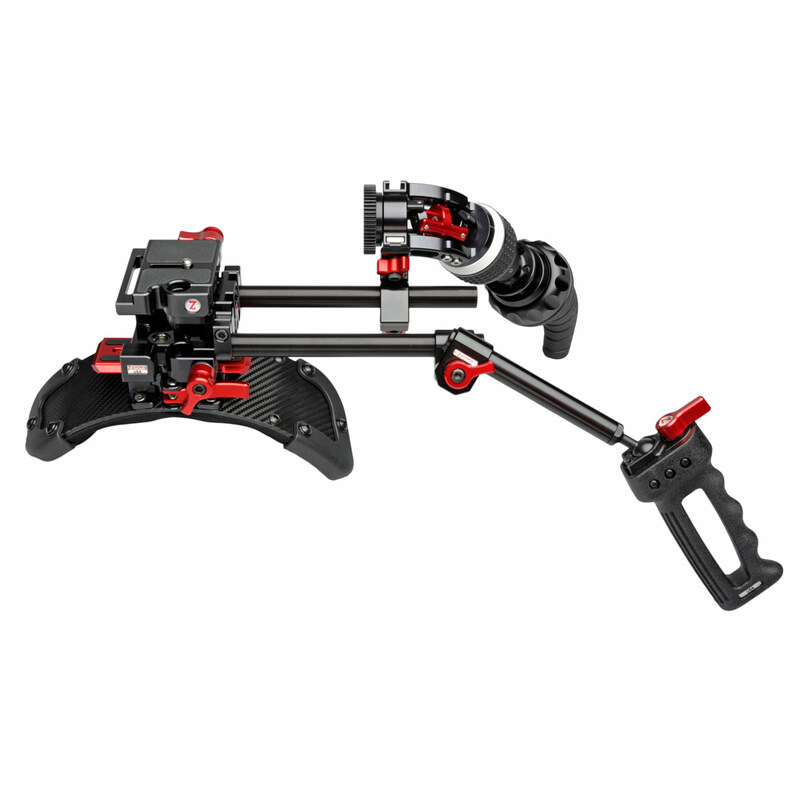 The Zacuto Z-Drive is a unique, universal follow focus, perfect for a Recoil rig set up. It curves away from the operator at a 60 degree angle creating space and distance from the lens for comfortable use when the camera is on your shoulder. It comes with a fixed 1 ¾” diameter .8 pitch gear to connect to your lens. The Tornado attaches to the Z-Drive whip port and works in tandem with the Z-Drive to create a unique mechanical follow focus handgrip perfect for single operator shoulder mounted work. If your lenses are not pitched to .8 you can add a Zipgear. Are you a Canon DSLR user? Check out this USB stop/start remote from Okii. This allows you to keep camera control at the right handgrip and is a great addition to this kit. * The Mini DSLR Baseplate is only compatible with standard small body DSLRs like the Canon 5D M2/M3, T2i/3i/4i, 7D, 6D, Nikon D800, D3000, and Panasonic GH3. It is not ideal and may not work when a battery grip is in place or on tall body cameras like the Nikon D3s or Canon 1Dc/x because the rods may not be able to get in the proper position for centering a matte box. 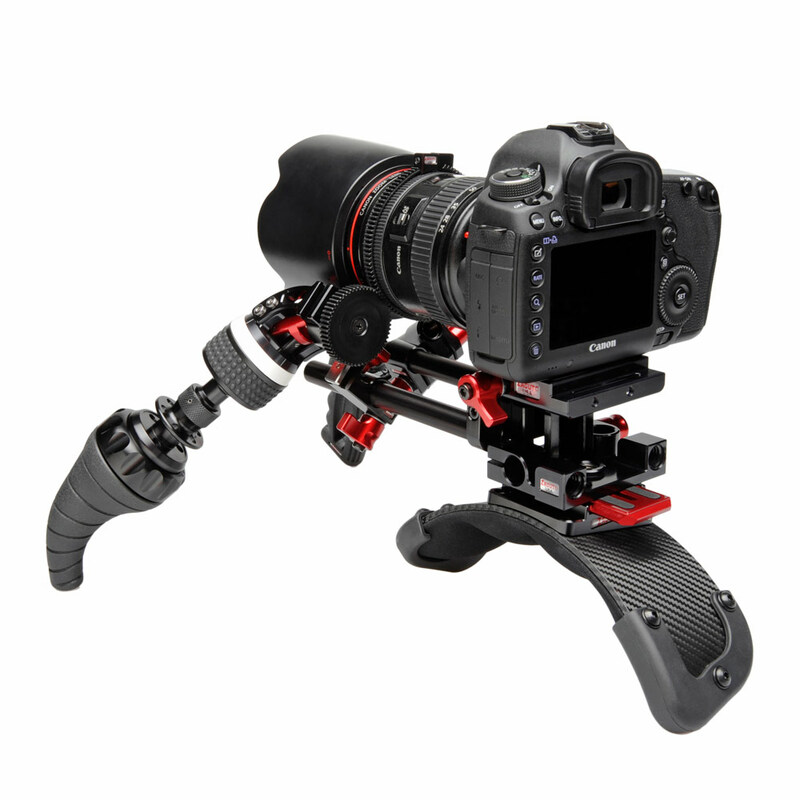 For those cameras, we recommend Zacuto standard DSLR Baseplate. Please call, email or live chat with your friendly Zacuto rep if you would like assistance building a Recoil kit with this larger baseplate. ** The dovetail plate included with this shoulder pad is compatible with Zacuto’s Tripod Adapter Plate, Kessler and Really Right Stuff equipment. PLEASE NOTE: This shoulder mounted kit cannot be used with a mattebox. 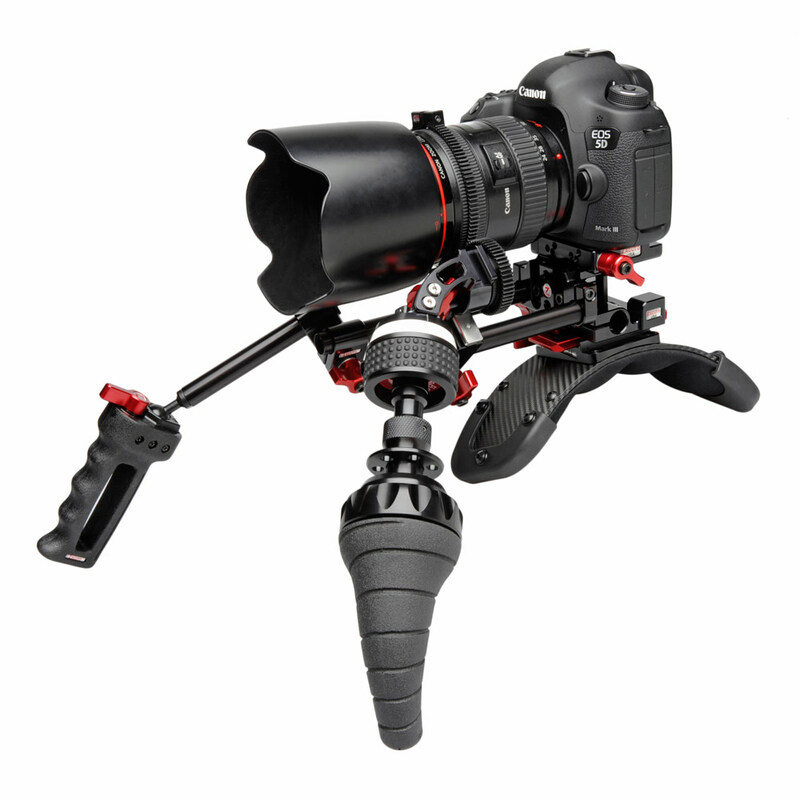 Meet the Zacuto DSLR Recoil from Zacuto on Vimeo. Zacuto Recoil Concept from Zacuto on Vimeo. QR Shoulder Pad & Accessories from Zacuto on Vimeo. 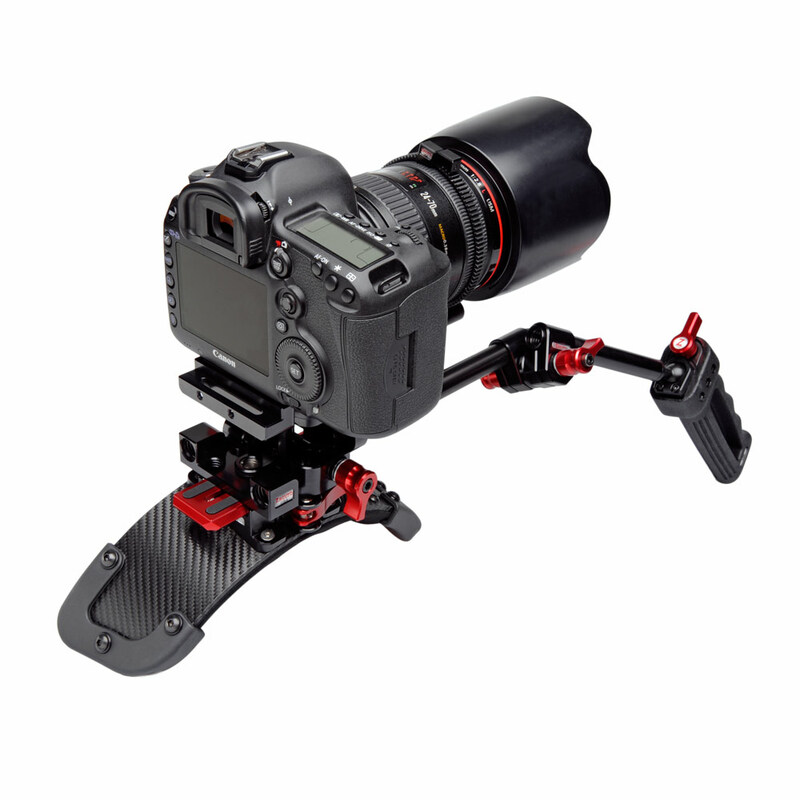 Zacuto's QR Shoulder Pad & Tripod Adapter Plate from Zacuto on Vimeo.